What does this mean – without perception, nothing would exist? It means that all life and energy forms in existence came alive through perception. Even us as humans were manifest through a higher aspect of ourselves simply by perceiving our existence. 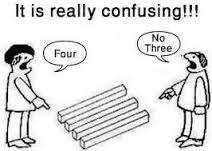 As you can see from this, how you perceive in your life is very important, as you are creating with every perception. So the million dollar question here is – “What do I want to create?” Knowing you are the sole creator of your reality it is very important, if you are serious about having a great life to become aware of 1. what part of you does the creating and 2. what am I creating. Knowing all positive, abundant, and loving experiences emanate from perceiving what is real – spiritual truth without judgement or condition, it is vital to be conscious of what percetions you hold. If it is not joyful, freeing, and expansive, it most likely is burdening non-truth coming from your emotional imprinting from how you perceived past experiences. So how are you ever going to know what quality your perceptions have? Simple – How do you feel? Your emotions are your validation mechanism/system that you were born with. They are your acuate meter of what you are creating in the moment. Your emotional system is linked to your perceptional system – perception created, emotion felt. Your emotions always tell you in real time what you are energetically creating right now. If it feels negative you need to be aware you are creating burden for your reality next week – next month, and possibly for many years to come. If you feel positive – you are freeing your life and disempowering the non-truthful energies within that are the engines driving lack in your life. This entry was posted in Uncategorized and tagged abundant life, consciousness, contentment, Divine Love, energy field, energy shift, enlightenment, happiness, health, healthy-living, how can I be happy, philosophy, seeing truth, spirituality, starseed, the now, trevor gollagher, whats my purpose in life, yoga. Bookmark the permalink.